Launching a website attacking the credibility of an animal rights organization is something people might expect a front group that protects the financial interests of the food, beverage, and tobacco industries to do. What may be surprising, however, is that the head of the No Kill Advocacy Center recently launched his own website targeting PETA’s credibility--often times using the Center for Consumer Freedom’s “PETA Kills Animals” template of attacks. And in 2005, when the Center for Consumer Freedom stumbled upon PETA’s Virginia Department of Agriculture and Consumer Services animal reporting summary numbers, in the interest of neutralizing one of the tobacco, food, and beverage industries' most outspoken critics, the front group set out to spin the dull straw of PETA’s shelter statistics into a currency that would keep their anti-animal campaign afloat, and as we might expect, they took liberties with the truth towards those interests. It’s possible that when the interview occurred, Nathan Winograd wasn't aware of the Center for Consumer Freedom’s affiliation with Covance Laboratories, or that at the time of this 2007 interview, that the CCF’s client was proposing to build a new facility in Maricopa County that would produce approximately 170,000 animals every year, most of whom would be killed in experiments. It’s also conceivable that Nathan Winograd might not have known that in 2007, the very year he sat down with the Center for Consumer Freedom to discuss "the problem of PETA," the going rate for a “purpose bred” Covance “Class A” beagle was $575, and that the University of Illinois at Chicago had purchased several hundred beagles from Covance to use in deadly experiments, just one of the universities and research programs Covance sold beagles to in 2007. It would be hard to argue that he hasn't become familiar with the Center for Consumer Freedom’s “work” since the 2007 interview, however. The Center for Consumer Freedom couldn't ask for a more glowing endorsement than having someone within the animal protection community claim that its scathing “criticisms” of PETA are “true,” however. “That is correct,” Virginia State Veterinarian, Dr. Dan Kovich, DVM, MPH, explained during our September 09, 2013 interview, when I noted that there doesn't appear to be any data on the VDACS animal reporting summaries regarding the adoptability of the animals euthanized in either private or municipal animal shelters. It turns out, with regards to animal shelters, the state of Virginia considers each of the three methods of "disposition"--adoption, transfer, and euthanasia--to be equal under the law, meaning, Virginia animal releasing agencies are not asked by the state to justify one means of disposition over another. Furthermore, there is no statewide legal criteria for determining "adoptability," so animal releasing agencies are not asked to record and report such determinations to the state. The State Veterinarian simply doesn't collect that data. And if the State Veterinarian doesn't know how many adoptable animals are euthanized in any given Virginia animal shelter, no one does, not the Center for Consumer Freedom, and certainly not Nathan Winograd. 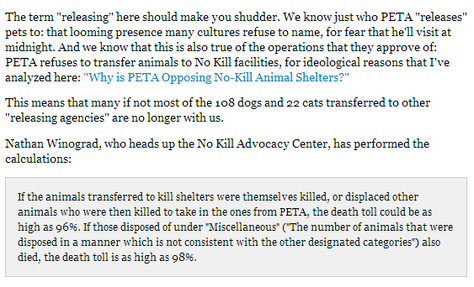 Nearly every allegation Nathan Winograd makes in this blistering statement has been previously made by the Center for Consumer Freedom, in one form or another, starting with the allegation that the animals PETA euthanizes in its shelter are largely adoptable. In fact, both the CCF’s and Winograd’s respective anti-PETA campaigns hinge heavily on being able to sell that notion to the public. Numbers, by themselves are rarely ever alarming, so people generally won't know if numbers are "good" or "bad" without the use of strong verbal or visual cues. In this case, "the numbers" are representative of animal-individuals, but otherwise, the Virginia Department of Agriculture and Consumer Services animal reporting summary data reveals virtually no other details about those animals. According to PETA’s VDACS animal reporting summaries, the animal rights group euthanizes between four and five animals in any given 24-hour period, and nearly all of those animals are brought to PETA by their guardians--but that's about the extent of what can be learned about them, just by looking at PETA's VDACS animal reporting records. Conversely, a lot of information about the animals whom PETA serves in its shelter can be gleaned from PETA's VDACS shelter inspection reports, documents that are easily accessible through a Freedom of Information Act request. Primarily that PETA has been in compliance with the state's requirement that each animal receive and euthanize at the request of his or her guardian, is accompanied by "custody record" and a legal document of informed consent, signed by the animal's guardian, stating that the animal may be immediately euthanized. The state of Virginia requires animal releasing agencies to record and keep important information about the animals they serve, and about these animals' guardians by way of custody records. When PETA's shelter is inspected by the state (at least annually), a state veterinarian assesses whether or not PETA is in compliance with the state's requirements that 1) a custody record is available for each animal received in its facility, and 2) that the custody record includes the date of custody, the date the record was made, the animals species, breed, age, weight, the reason for custody, location where custody was taken, information about the animal's guardian, if known, and whether the animal was euthanized, adopted or transferred to another licensed facility. PETA's VDACS animal reporting summaries and shelter inspection reports indicate that nearly all of the animals PETA receives for euthanasia are received from their guardians for this specific service, and each of these guardians signs a document of legal release, stating that their animal may be immediately euthanized. But this is clearly not the picture the Center for Consumer Freedom and Nathan Winograd want to paint about PETA's "data," so they each couch the "numbers" and "statistics" in confusing terms, adding strong verbal prompts that tell the recipients of their campaign's message that they should think that these modest numbers are very high, and somehow very bad. 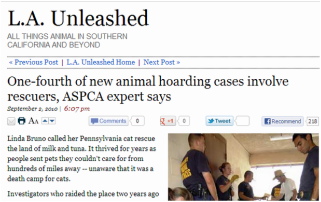 It's significant that neither the Center for Consumer Freedom nor Nathan Winograd disclose to their target audiences that important information about the animals PETA serves can be gleaned by accessing the animal rights group's state shelter inspection reports, though it's a safe bet that each entity has requested them, as is evident by their respective requesting from the state, and their publishing of, PETA's 2010 VDACS site visit report. And, of course, information from other sources helps flesh out the picture a little. From state census records, it can be determined that the Hampton Roads area of Virginia has a population of about 1.6 million residents, and that more and more of them fall below the poverty line every year. Factoring in that PETA is the only organization in the Hampton Roads region that offers no-cost, veterinarian-supervised emergency medical euthanasia to any animal who requires it, and that this emergency on-call service is available to animals 24 hours a day, 7 days a week, 365 days a year, it's not a stretch that PETA would receive and euthanize between four and five sick and injured animals in any given 24-hour period. When I touched base with Dr. Kovich again in September of 2013, he stated that his office has received a small number of complaints regarding PETA since I contacted him previously, but that none have been determined by his office to be credible. The small euthanasia room at PETA’s Norfolk headquarters is very well attended by the public: both Richard Berman and Nathan Winograd keep tally of the number of animals who have been euthanized there, stating that “in the last eleven years, PETA has ‘killed’ 29,426 companion animals” at their Norfolk facility. Inadvertently, they each illustrate just how unlikely it is that PETA euthanizes animals against their guardians’ wishes. To put it another way, if every 1,000 euthanasia procedures performed at PETA’s headquarters generated a complaint against the animal rights group, there would have been approximately 30 complaints submitted to the Office of the State Veterinarian over the years. It is noteworthy that here have been only three--or an average of one complaint per 10,000 euthanasia procedures, and that none of the claims have been substantiated by the state. Additionally, there was no indication from Dr. Kovich during our interview that the complaints were directly related to PETA’s euthanasia practices. Interestingly, the shelter PETA refers and transfers its adoptable animals to, the Virginia Beach SPCA, is an open-admission shelter that accepts animals from all jurisdictions and never euthanizes animals for space. During our recent interview, Sharon Q. Adams, the shelter’s director stated that the VBSPCA has been able to find homes and foster homes for 90% of the animals they've received so far this year. Because the shelter focuses more on serving the community’s animals appropriately than maintaining a low euthanasia rate, the Virginia Beach SPCA does not consider itself to be a “no kill” shelter. Refuses to provide its criteria to whom? The State Veterinarian doesn't ask Virginia shelters to record and report the determinations they make regarding adoptability to the state. "Actually, for us, we are usually picking up the worst of the worst, the unsocialized, the ones who have been on a chain their whole lives, they're not even able to think about going into a home. Nobody wants them. So yes, in one way, it would be great if every broken animal, it would be lovely if there was someone who said yes, I'll put in the time and effort, but there are wonderful, cute, fluffy small ones that you can't find homes for, but we don't take in adoptable animals usually, unless we have to, we let them go to shelters where people come through and can choose. The Virginia Division of Animal & Food Industry Services--Office of Veterinary Services, inspects Virginia's animal shelters, at least every year, to determine whether or not they're in compliance with the state's Consolidated Animal Laws. I recently requested and received "every available" "Animal Facility Inspection" report for PETA's shelter, through the Freedom of Information Act. The state provided me with records for 2008, 2009, 2011, 2012, and 2013, and though every other inspection record is absolutely spotless, there is no Animal Facility Inspection report for 2010. It turns out there's a really good reason why the 2010 report was absent from the documents the state provided. "In 2010, a Virginia resident called PETA to ask if it operated an animal shelter. PETA said no. Apparently perplexed, she sent PETA's response to the Virginia Department of Agriculture and Consumer Services (VDACS), the government agency responsible for overseeing shelters and animal welfare matters in the state. 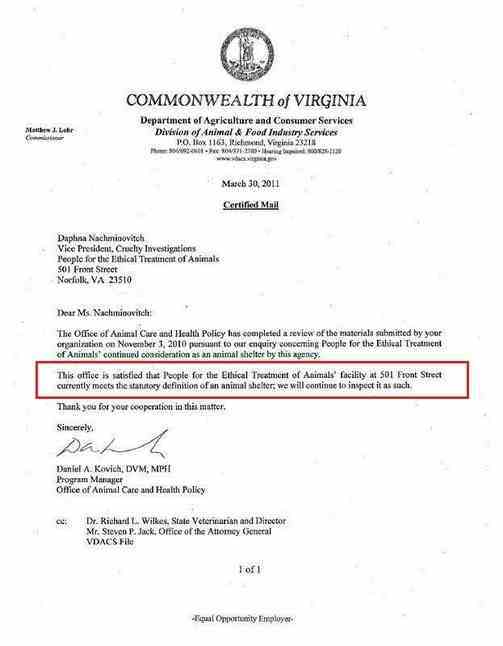 Responding to the complaint, Dr. Daniel Kovich, an investigator with the VDACS, conducted an inspection of PETA's animal shelter at its Virginia headquarters in July 2010." "The findings of this site visit support the assertion that PETA does not operate a facility that meets the statutory definition of an animal shelter as the primary purpose is not to find permanent adoptive homes for animals." "Animal shelter" means a facility, other than a private residential dwelling and its surrounding grounds, that is used to house or contain animals and that is owned, operated, or maintained by a nongovernmental entity including a humane society, animal welfare organization, society for the prevention of cruelty to animals, or any other organization operating for the purpose of finding permanent adoptive homes for animals. There is no statutory requirement that Virginia animal shelters operate with the primary purpose of finding animals adoptive homes. With regards to animal releasing agencies like PETA, Virginia considers each of the three methods of "disposition," adoption/transfer/euthanasia, to be equal under the law, meaning animal shelters may operate for the purpose of finding animals permanent adoptive homes or for providing humane euthanasia to suffering community animals, or both. "Ms. Nachminovitch indicated that the majority of the animals that were taken into custody by PET A were considered by them to be unadoptable. Adoptable animals were routinely referred to other area animal shelters; conversely PETA often took custody of animals denied admittance by other area shelters." 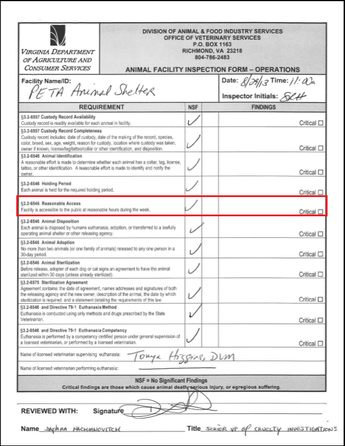 Because of the 2010 controversy, the state did not inspect PETA's shelter that year, which explains why the 2010 animal facility inspection report wasn't included in the documents I requested. 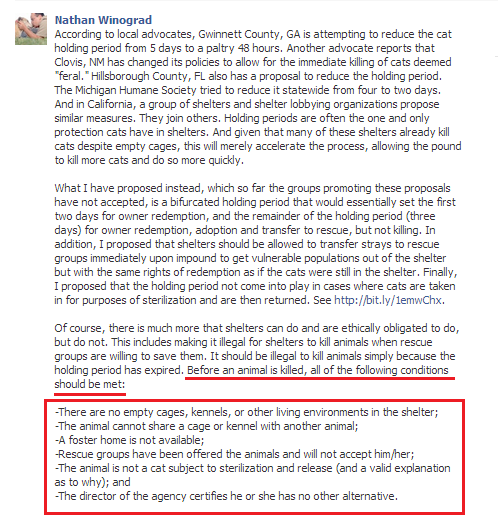 In March of 2011, Dr. Kovich issued a second report clarifying that PETA's facility, did in fact, meet the state's statutory definition of "animal shelter," correcting the false assumptions made about PETA's shelter in the 2010 site visit report. Sadly, neither the Center for Consumer Freedom nor Nathan Winograd disclose that the 2010 site visit report summary contained erroneous information about PETA's shelter, or that a second report was generated to reflect the state's actual position on animal shelters, though it's highly likely that both the CCF and Nathan Winograd requested PETA's Animal Facility Inspection reports, just like I have. If they have accessed these records, then they are each aware that PETA's shelter is both accessible to the public, and follows the state's guidelines regarding its disposition of animals, and had met these requirements for all reporting years. Whether or not they've requested PETA's Animal Facility Inspection reports or not, they are aware that the 2010 site visit was not considered by the state to be either an "investigation" or an "inspection," though they each refer to it in those terms. 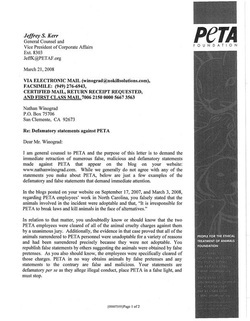 The bulk of Richard Berman’s and Nathan Winograd’s remaining allegations against PETA stem from the North Carolina incident, though PETA’s work in North Carolina in the early 1990’s is unrelated to their Norfolk shelter practices. When PETA became involved with North Carolina animals back in 2000, the animal rights group quickly and dishearteningly realized that its capacity to impact the lives of animals in pounds and shelters would be extremely limited. While improving the living conditions at these North Carolina shelters and pounds was critical for the animals residing there, PETA had hoped that its massive campaign against the use of gas chambers in North Carolina would result in the cessation of their use. When it didn't, PETA was faced with either walking away from the problem altogether, or taking personal responsibility that the animals in those four North Carolina pounds and shelters wouldn't be shoved into a box soaked with the feces, urine, vomit, and blood of all the animals who were tortured to death before them. History proves that PETA didn't allow that to happen. A curious statement considering the Center for Consumer Freedom’s clients list. It’s well-established that the CCF protects the interests of the factory farming industry, but the truth is, the CCF isn't doing companion animals any favors either. In 1966, nearly a decade after the US Surgeon General declared a link between cancer and tobacco smoking, Phillip Morris began “Project 6900,” a series of physiological studies designed to privately “advise Phillip Morris as related to smoking and smoking products” in “the production and development of a new cigarette product.” Using several sets of skin painting and inhalation studies on animals of almost every stripe, Phillip Morris’ researchers set out to build the foundation for what would become the tobacco industry’s ongoing full-frontal assault on claims that smoking was causing cancer and other diseases in humans. 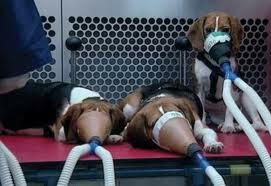 A decade later it was discovered that Covance Laboratories was conducting horrendous forced smoking experiments on beagles--on the tobacco industry's behalf. 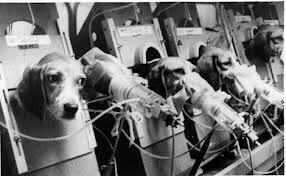 And later, during the 1990’s, simultaneously to the US Surgeon General reporting that exposure to secondhand smoke substantially increases the risks for lung cancer and heart disease in humans, Covance was generating tobacco-industry sponsored research claiming that even extreme amounts of secondhand cigarette smoke were safe, and they were torturing a lot of defenseless animals to accomplish it. Which would explain why a tobacco company might be motivated to purchase $2.3 million dollars-worth of interest in an industry front group that seemingly targets “anti-meat” activist organizations on behalf of the food and beverage industry. 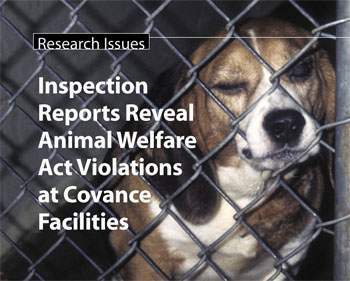 Phillip Morris tests its tobacco products on animals, lots of animals, and over the span of several decades, the largest producer of tobacco products has cultivated a close relationship with the largest producer of dogs exploited for biomedical research--Covance Laboratories. A lot of smokers were dying from cancer, and Phillip Morris needed to produce scientific “proof” that cigarettes weren't killing them. Their exploitation of animals to forward “product development” would put the tobacco company squarely in PETA’s cross-hairs. Interestingly, the Center for Consumer Freedom’s riding shotgun for corporations that breed, confine, concentrate, deprive, and violently disassemble beagles for research hasn't landed the industry front group in Nathan Winograd’s cross-hairs. The Center for Consumer Freedom comes at PETA because the animal rights group threatens the financial interests of its stakeholders. In 2001, claiming ownership of 114 shares of Altria (owners of Phillip Morris) common stock, PETA filed a shareholder resolution demanding that the tobacco company cease its use of animals in its barbaric product testing. From April 26, 2004, to March 11, 2005, an undercover investigator for PETA videotaped systematic abuse and neglect of animals at Covance Laboratories' facility in Vienna, Virginia. The resolution failed to pass, but the tactic was effective in providing a new forum in which to present the animals rights group’s research to company executives, their shareholders, and to the public. The number fluctuates, but PETA holds stock in as many as 100 companies at any one given time, providing the animal rights group with internal access to corporations that exploit animals, many of whom are on the Center for Consumer Freedom’s donor list. Clearly Richard Berman’s clients consider PETA to be a serious problem. The Center for Consumer Freedom’s attack on PETA may be marginally accurate, but it’s not truthful in its portrayal of the facts. Which begs the question: why would an entity within the animal protection community side with an industry front group that protects the interests of enterprises that collectively kill tens of billions of animals annually--some of whom are companion animals--in its attack on an animal rights group? "What’s beneath the surface of PETA’s apparent hypocrisy here? Why do you think the group doesn't endorse a ‘No Kill’ philosophy? And that’s clearly where PETA’s community work is focused. So far, the animal rights group has spayed and neutered almost 100,000 Hampton Roads animals, in free and low cost clinics. As long as the No Kill Advocacy Center considers PETA to be the biggest threat with regards to "thwarting" its "effort to achieve a No Kill nation or build a better world for companion animals," even more so than the Center for Consumer Freedom and its list of donors, that just doesn't seem likely to happen. While the the incident that sparked the infamous court case happened in 2005, the story itself started all the way back in 2000, when a North Carolina police officer contacted PETA having witnessed a dog at the Bertie County, NC, pound dying in his flooded outdoor enclosure, and another dog eating the mummified remains of a cat. PETA became both physically and financially involved at the Bertie County pound, and with three other impoverished NC pounds that were using dilapidated gas chambers and heart-stick and firearm euthanasia to dispose of unwanted shelter animals. PETA poured over $300,000 into the project, building new animal housing from the ground up, and working with shelter staff to improve the care of the animals who were unlucky enough to find their way into rural NC shelters. PETA also contracted a local veterinarian to go to one of the pounds, the pound in Hertford County, to humanely euthanize the animals who wouldn't be offered for adoption and who would otherwise be crammed into a windowless box and suffocated. The local veterinarian that PETA contracted to euthanize animals for them in Hertford County was Dr. Patrick Proctor, DVM. He would later ask a PETA CAP volunteer to remove unwanted animals from his private veterinary practice, and testify that he was "shocked" and "surprised" that the CAP volunteers euthanized them in their van. The remaining three pounds didn't want to work with veterinarians, and entered into agreements with PETA that PETA would send staff to their shelters every Wednesday to euthanize their unwanted animals in their van, and remove their remains to Virginia for cremation. These arrangements were carried out for years before the infamous "dumpster" incident occurred. The Center for Consumer Freedom and Nathan Winograd both have gotten a lot of mileage out of this incident, each lamenting about Dr. Proctor's heartrending testimony and how he claimed that he had no idea that the PETA CAP volunteers would euthanize the three animals he told them to remove from his office that day. Yet, neither the CCF of Nathan Winograd mention that the jury found the PETA CAP volunteer not guilty of obtaining the animals under false pretenses because the reality was that no one could know better that PETA euthanized the North Carolina animals they couldn't find homes for than Dr. Proctor. Dr. Proctor euthanized 1,227 animals who PETA wouldn't be able to find homes for, and was paid by PETA over $10,000 to do it. Who could possibly know better of PETA's North Carolina protocol than they man they paid to implement it over the span of several years? There are other things the CCF and Nathan Winograd omit about the testimony at the trial, like how the defense and the prosecution couldn't agree on which employee had actually relinquished the animals to the PETA volunteer, and how the prosecution's witness admitted upon cross-examination that while she thought that the animals might be found homes, she was never actually told they would be. She admitted to knowing that the animals might be euthanized, proving that no promises were ever made. The CCF and Nathan Winograd neglect to mention that when Dr. Proctor was subpoenaed to provide time cards for the employees who were working the day of the incident, he produced an altered time card for one of the prosecution's key witnesses. Without the altered time card, there was no evidence that one of the key prosecution witnesses was even there during the incident to witness the events. This is probably the most important detail that the CCF and Nathan Winograd leave out: PETA actually did find homes for MANY of the North Carolina animals. In fact, one of them went to live in PETA's Norfolk headquarters. Learn more here. To recap: It Isn't Really About "Killing"
"Newborn animals that need maternal care and have been impounded without their mothers may be euthanized without being held for owner redemption or adoption." To be perfectly honest, it isn't really about "killing" for Nathan Winograd. It's really just a matter of his trying to mitigate PETA's opposition to his ineffective and dangerous "No-Kill" legislative initiatives. He's purposefully trying to confuse the issues for people by taking the focus off of what PETA says about his ineffective and dangerous "No-Kill" initiatives , and putting it on what he wants people to think PETA does. In addition to legalizing shelter overcrowding--essentially mandating it--Hayden Law provides for the immediate euthanasia of motherless newborn animals. Meaning, shelters and pounds may, at their discretion, consider motherless newborn puppies and kittens "unadoptable" and "untreatable," and euthanize them at will. Nathan Winograd hawks Hayden Law six ways to Sunday, though he never discloses to his supporters that the legislation provides for the killing of newborn puppies and kittens. Nathan Winograd's issue with PETA has nothing to do with their belief that humane euthanasia is the preferable alternative to a life-long isolation in an animal shelter, or life-long abject homelessness. It has absolutely nothing to do with their use of sedatives and sodium-pentobarbital to humanely euthanize the animals who require it. Nathan Winograd can be very supportive of organizations that hold those very same beliefs--if they also support his "No-Kill" initiatives. Joshua Cromer is the Executive Director of the Humane Society of Henderson County, a "90% Club" "No-Kill" shelter in Kentucky, and Joshua Cromer believes that animals do not have the "right to life." Joshua Cromer believes that people have the right to kill animals as long as it's done humanely. Joshua Cromer states that he euthanizes (or according to Nathan Winograd, "poisons") animals using sodium-pentobarbital (or as Nathan Winograd phrases it--an "overdose of barbiturates"). Joshua Cromer states that there are times when his shelter must euthanize (or in the words of Nathan Winograd, "kill," "slaughter," or "butcher")"healthy" animals. The significance of all of this, of course, is that Nathan Winograd chooses to overlook Joshua Cromer's beliefs regarding the humane euthanasia of animals--even healthy animals, when his shelter experiences "extreme overcrowding"--because doing so benefits Nathan Winograd. Joshua Cromer's shelter is one of only a few open-admission "No-Kill" shelters in existence. You can read Nathan Winograd's recent interview with Joshua Cromer about the policies of the Humane Society of Henderson County here. Joshua Cromer's euthanasia policy is conspicuously absent from the conversation. "We do receive animals that are severely injured, have serious disease or other major health issues, or are aggressive due to their prior life experiences. In many cases, the most humane solution for these animals is to euthanize them peacefully. These are policies shared by the ASPCA, Humane Society of the United States, and American Humane Association, among others. Clearly, Nathan Winograd's campaign against PETA has nothing to do with PETA's euthanasia practices. Nathan Winograd can be very supportive of a system of sheltering that includes euthanizing animals, when it suits him, despite his protests to the contrary. Nathan Winograd selectively opposes euthanasia, meaning, when it serves his agenda, he keeps quiet about it, as is the case with his keeping quiet about the Hayden Law provision that allows shelter workers to euthanize newborn kittens and puppies at their discretion, and in the case of the Humane Society of Henderson County's policy of euthanizing animals using sodium-pentobarbital injection, some of whom are "healthy." Nathan Winograd is simply using the Center for Consumer Freedom's tried and true method of distracting from the issues at hand. 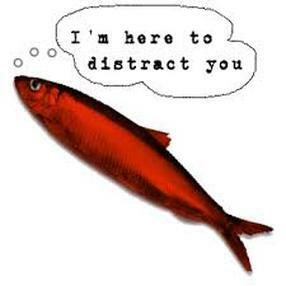 Keep the focus on the messenger, rather than the message. Like the Center for Consumer Freedom, Nathan Winograd has interests to protect, and PETA threatens those interests. "Laundering" the Center for Consumer Freedom's dubious anti-animal disinformation campaign against PETA into a currency that's more palatable to animal-lovers is vital to successfully countering PETA's opposition to aspects of the "No-Kill Equation" and its legislative initiatives that put animals in harm's way. PETA opposed Hayden Law because, as predicted, Hayden Law causes dangerous shelter overcrowding, and PETA opposes Winograd's Companion Animal Protection Act (CAPA) initiative because it legislates rescue oversight out of the equation. 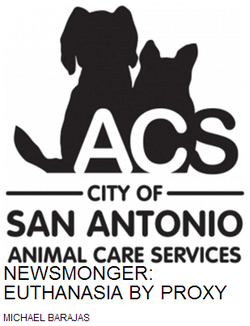 CAPA requires shelters to make animals they are considering euthanizing available to rescues (both designated 501(c)(3) non-profits and non-designated 501(c)(3) non-profits) and to the public at large before euthanizing for space. Here's where it gets dicey for animals: CAPA makes it unlawful for shelters to ask rescues to disclose the total number of animals from all sources, who live, are transferred, are adopted, are euthanized, or die while in their care. At this time, shelters provide the only meaningful oversight rescues have, and even that is inadequate. "No-Kill" shelters rely heavily on transferring animals to "rescues" to keep their "live-release rates" high. The "Companion Animal Protection Act" mandates that shelters release any animals they're considering euthanizing to listed rescues, but makes it unlawful for shelters to inquire about the total number of animals in those rescues' care. Some 25% of all animal hoarding investigations in the US involve companion animal "rescues." Approximately 1,500 animal rescues are investigated for abuse and neglect in the US every year, and according to experts, the phenomenon is on the rise. Rescue oversight is clearly lacking. Mandating that animals be offered to unregulated rescues while limiting shelter oversight of these rescues puts animals in harms way, and should not be part of legislation that claims to protect animals. The "No-Kill Equation" relies heavily on funneling shelter animals to unregulated rescues to keep shelter "live release rates" high, but there's no happy ending for many of the animals these shelters are shoving through the cracks of a flawed system. 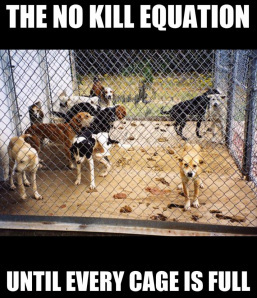 Nathan Winograd Misrepresents the "Success" of the "No-Kill Equation"
PETA also opposes "No-Kill" because "No-Kill" shelters largely limit their admissions, turning animals away to unknown fates, while the limited number of animals they do take are often held in appallingly crowded conditions, sometimes for years. PETA's right. Many "Documented No-Kill Shelters" admit to limiting their admissions in significant ways, despite Nathan Winograd's claims that "No-Kill" shelters aren't turning animals away. In this recent blog post in Huffington Post, Nathan Winograd makes the false claim that "No-Kill" shelters are "places where animals are guaranteed a home." "No-Kill" shelters aren't "homes," but for a lot of animals, a cage in a holding facility is the closest they'll ever come to finding a "home." "No-Kill" shelter workers are seen on camera referring animals to shelters where they know they will be likely be euthanized. This important investigation makes it impossible to ignore that a "No-Kill" shelter doesn't translate into a "No-Kill Community." Despite Nathan Winograd's claims to the contrary, many "Documented No-Kill Shelters" admit that they're limiting their admissions in significant ways. The truth is, a lot of "No-Kill" shelters aren't able to guarantee unwanted animals homes. You can view my survey of "No-Kill" admission policies here. The primary reason for limiting admissions is overcrowded shelters. In an act of sheer desperation to pin at the deaths of at least some adoptable animals on PETA, in his February 6, 2013 HuffingtonPost.com blog post, "PETA's Actual Death Toll," Douglas Anthony Cooper made the allegation that "some, of not most" of the adoptable animals PETA transfers to other shelters go on to be euthanized, making the animal rights organization culpable for their deaths by default. Nathan Winograd then entered the fray, explaining that even if PETA's animals are not euthanized, they've effectively caused the deaths of other animals who may have been euthanized to make room for them. "...The Virginia Beach SPCA is an open-access facility serving south Hampton Roads. Our open-access policy means that we will accept pets from all regions. We do not euthanize adoptable animals to make space for others. We do not pre-screen animals for the purposes of selecting only those suitable for adoption. We rely on foster services to care for animals that may be too young to place for adoption, or those that require ongoing medical care. We are strongly invested in reducing pet overpopulation and increasing public awareness." The Virginia Beach SPCA is a "no-kill" shelter in the truest sense of the word. They take any and all animals brought to them, and they do not euthanize adoptable animals for space. So unless Cooper was saying that the animals PETA transfers "are no longer with us" because they're thriving in their permanent adoptive homes, or foster homes, then he and Winograd need to issue a retraction for this regrettable display. The adoptable animals that PETA transfers are still with us, and unlike the animals that "No-Kill" shelters notoriously turn away to shelters that must euthanize for space, other animals are not euthanized to make room for them. How curious that Douglas Anthony Cooper couldn't be bothered to test the voracity of his own claims before publishing them, and how embarrassing this must be for Nathan Winograd to have been involved in this debacle. Welcome to new "journalism," folks. Checking the facts for ourselves has never been more important, has it? In his recent blog praising veterinarian Dr. Kate Hurley for her recent conversion from being a proponent of open-admission sheltering to now championing the re-abandonment of homeless street cats--or their being refused by shelters altogether, Nathan Winograd does a curious thing. One the one hand, he seems intrigued by her notion that "open-admission" sheltering may not better after all, and on the other hand appalled that she doesn't acknowledge that "No-Kill" shelters can be "open-admission." Go ahead. Click on Nathan Winograd's link. It'll take you to the "No Kill Law and Advocacy Center" webpage where he names exactly zero shelters as being "open-admission," though he hints at their existence by giving general geographical locales of where these shelters allegedly are. Dr. Hurley has no reason to think there are a significant number of "open-admission" "No-Kill" shelters, because there is absolutely no evidence that there are, and an abundance of evidence that the opposite is true. Estimates put the number of homeless and feral street animals in the US at over 100,000,000 animals. A lot of "No-Kill" proponents advocate that homelessness on the streets is a lesser evil than animals taking their chances in open-admission shelters. Animal control officers are starting to speak out about the system that's failing more animals than it's "saving." Nathan Winograd's "laundering" of the Center for Consumer Freedom's smear campaign against PETA has a lot of people wondering about a possible connection between Nathan Winograd and corporate animal enterprise. 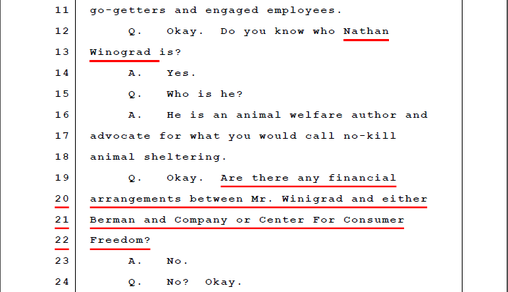 Nathan Winograd's name came up during the Martosko defamation deposition, and unfortunately, a connection between Nathan Winograd and the Center for Consumer Freedom cannot be ruled out. The tragic, yet predictable, side effect of "animal advocates" siding with meat industry special interest groups against animal rights groups is, of course, farm animals suffering even more for it. "In 2008, a PETA fieldworker I'll call Nancy answered a frantic call on the emergency pager at about 1 o'clock in the morning. The caller had heard an animal crying. Nancy drove immediately to the scene and found two baby raccoons in a trash bin. They were soaked with fluid that had seeped out of the trash bags as well as with beer and rainwater. One was so near death that he was cold to the touch and unresponsive. He died before she got back to the shelter. The other baby wailed all the way. He was bloated and his eyes were sealed shut with crust and mucus. He was also dying but still conscious. She administered an injection of sodium pentobarbital and let the raccoon baby drift off to sleep forever. "In 2005, Nancy had spent weeks in Louisiana, wading through the gasoline- and waste-filled floodwater in the "war zone" left behind by Hurricane Katrina. She had been part of a team who had used bolt-cutters to get through fences and crowbars to jimmy open doors to rescue animals, feed them, and transport them to the huge temporary animal-holding facility at Lamar-Dixon Expo Center in Gonzales. Arriving at one badly damaged house, Nancy spoke to a man tossing his salvaged belongings into a truck. Yes, he said, he had two dogs. He'd shut them in a room upstairs when he evacuated. He hadn't checked since he'd returned, but he 'figured they were dead.' Nancy ran up the stairs, opened the door and was hit by the stench of decomposing flesh. One dog was still alive but barely. Nancy carried her downstairs. 'Go ahead, you can take her,' the man said. 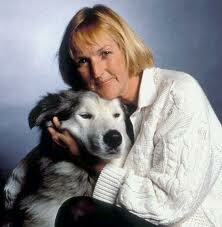 Nancy placed the dying dog in her van. She never forgot that moment or seeing, time and again, that people had simply driven away, leaving their dogs to drown slowly in the rising waters. "About a year later, someone I'll call Carol celebrated her 27th year in animal sheltering and cruelty investigations. She had worked for several shelters and, over the years, had taken a few mental health breaks but would always say, "Wherever you go, you can't escape what you know." Eventually, she tried another line of work but then, unable to turn away completely, started a program to provide neglected dogs stuck out on chains in the bitterest of weather with sturdy, straw-filled doghouses. "One day, visiting a trailer park, she found an old dog tethered in a dirt patch. A logging chain so heavy that it weighed almost as much as he did was locked around his neck. The dog's ribs protruded from his chest and his backbone jutted out. Although so painfully thin and neglected, he had still thumped his tail and looked up at her with hope. Carol started sobbing. She had cried before, but this time she couldn't stop. She had held it together for almost three decades, but in that moment, she knew that she could no longer face the never-ending cruelty. She had a nervous breakdown. "Some callous people work in animal sheltering, of course. But so do people who love animals with all their hearts. They hear people say, 'I could never do your job, I'm too sensitive,' but they can't walk away knowing that the sheer number of animals in deep trouble -- those who are simply unwanted or who are sick, injured, abandoned, or abused -- far exceeds the number of places to put them. They see how many litters are being born and how, in the scheme of things, how many people fail to sterilize their dogs and cats. Unless they shut the door and turn their backs, they must hold many of those animals in their arms and tell them they love them as they gently take their lives. Some shelters provide their workers with counseling for such stress, others don't. "Yet on blogs and in their comment sections, people like Nancy and Carol are attacked as 'butchers,' 'killers,' and 'psychos' who 'poison' animals and have 'blood on their hands' by detractors who sometimes not only make deriding good people a near-career, but hide, as bullies do, behind the anonymity of made-up names, such as that of a Peanuts cartoon character who posted 375 anti-PETA comments over a period of two weeks. These people even maliciously repeat damning 'evidence' that has been disproved in court. "What PETA does in bringing relief to animals in an appalling state or who have no chance of adoption is gloatingly mischaracterized by our detractors as a 'secret' 'slaughter' when it is neither. We and our staff and other shelter workers talk and write about euthanasia regularly and often. We want people to know what is going on and get involved by meeting with legislators to get laws passed, pushing for adoption, clamping down on breeders. We want workable solutions to the massive problems of animal abuse, abandonment, homelessness, and expensive veterinary care that many people can't or won't pay. Shouting the magic words 'no-kill' is as ineffective as shouting 'abracadabra,' and simply demanding that euthanasia stop is not a solution, in fact it's cruel when the consequence would be animals left to languish unaided. How we wish no shelter had to take lives, but wishes and hatred don't solve the problem and helpful laws are fought by the breeders who are part of the mud-slinging on this and other sites but who do not identify themselves as such. "Imagine how it must feel to be one of the people who works in PETA's Virginia shelter and read this total fabrication posted by someone purporting to have volunteered there: The poster writes that 'he' saw cats, puppies, kittens and dogs sitting in cages awaiting euthanasia, was told not to bother to give them food or water, and that a cat was ignored while giving birth. He says that he stole two kittens and has them now in his home, safe and sound. Another anonymous commenter not only reposted that piece of pure fiction five times but also added more lies, including that PETA rushes to disaster areas to euthanize animals before their owners can be reunited with them. "The facts are that PETA works hard to reunite guardians with lost animals (including flying and driving animals who had received long-term care arranged by PETA in Virginia after Hurricane Katrina back home again); we do not use cages to house cats, but guest rooms with beautiful views, comfortable furniture, toys, and treats; no cat has ever given birth or attempted to at our facility; unless they are going in for surgery, all animals always have water; no animals have ever been stolen or have disappeared from our care; and puppies or dogs aren't housed in cages at our facility -- we have comfortable rooms with couches and blankets and toys. If you read the aforementioned Huffington Post article written by Ingrid Newkirk, you likely noticed the "We're sick to death of it and we're not going to take it anymore" air of it. 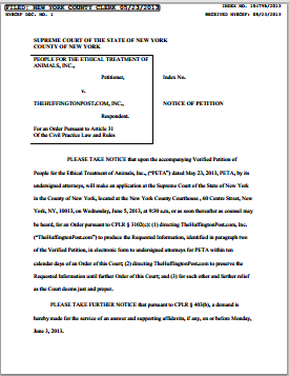 On May 23, 2013, pursuant to initiating defamation litigation, PETA filed a document with the New York Supreme Court petitioning Huffington Post to release any and all identifying information pertaining to three individuals who made several, very serious allegations against PETA in the comment section of Nathan Winograd's recent anti-PETA Huffington Post blog entry. I'll be watching these events with great and personal interest. PETA's Norfolk Facility Meets Virginia's Statutory Definition of "Animal Shelter"
The efficacy of the disinformation campaign against PETA has its roots in our preconceived notions of what we think "animal shelters" and are, and what we think they're supposed to be doing for animals. By comparing PETA's small Norfolk animal facility to a traditional “open-to-the-public” "animal shelter" the architects of the respective "PETA Kills Animals" campaigns can manufacture misleading examples of how PETA's efforts "fall short" of those preconceived notions. We even have preconceived notions about the types of animals traditional "animal shelters" attract and how they attract them, so when the Center for Consumer Freedom and Nathan Winograd point out that PETA "doesn't have adoption protocol in place," they want people to form the misguided opinion that like traditional "animal shelters," PETA is a landing place for all sorts of animals who are unwanted for one reason or another (and is likely actively seeking them in some way), but unlike traditional "shelters," isn't putting forth the required effort to find these animals suitable adoptive homes. In other words, you're being purposefully misled to believe that PETA is a "catch-all" facility with no programs in place to serve the adoptable and treatable animals they receive, and that no matter what the animals' specific needs are, PETA's only "solution" is euthanasia. The small animal facility at PETA's Norfolk headquarters isn't a traditional "open-to-the-public" "animal shelter" in the colloquial way that "animal shelters" are generally referred to. The primary purpose of PETA's small Norfolk animal facility is to meet the specific individual needs of animals who require PETA's assistance, not to attract and find homes for adoptable animals. Most of the animals who enter PETA's physical facility require humane euthanasia for a current crisis of illness, injury, or emotional devastation, but that doesn't mean that the individual needs of the relatively few adoptable animals PETA receives aren't being taken into consideration and appropriately met. PETA does have adoption protocols in place, despite the fact that they're not a traditional "animal shelter." Adoptable animals who are not found immediate placement in adoptive or foster homes by PETA are transferred to the Virginia Beach SPCA, and other high-traffic/high-adoption shelters in their area.